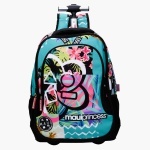 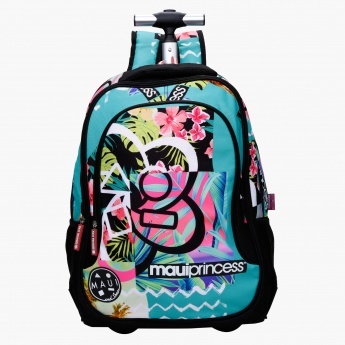 Smart and trendy, this lovely backpack is a great pick for your kid to carry heavy items. 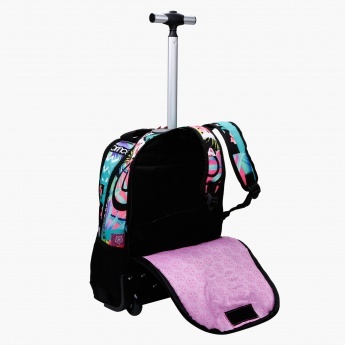 With dual, adjustable straps, it can be carried on the shoulders as well. The smooth wheels and bright prints make is a must-have.